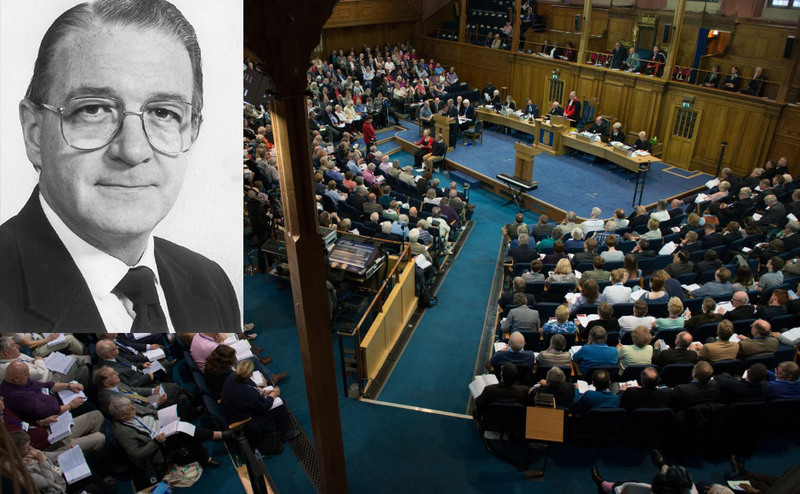 With a poignancy of timing, the Very Rev Dr James Leslie Weatherhead, former Moderator and Principal Clerk of the General Assembly of the Church of Scotland, died in the early morning of Saturday May 20, a few hours before the 2017 General Assembly was appointed to meet. 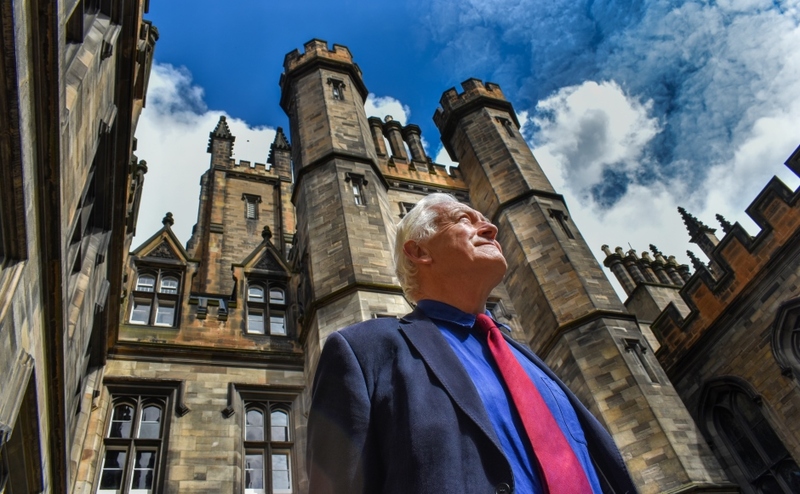 Born in Dundee in 1931, he was educated at the city’s High School before proceeding to Edinburgh University. There he graduated in arts and law and served as senior president of the Students’ Representative Council. National service in the Royal Navy followed, including active service on HMS Eagle during the Suez Campaign of 1955-56. Thereafter he returned to Edinburgh University to study divinity at New College, during which time he was elected president of the Students’ Union. James Weatherhead’s ministry began in 1960 when he became Assistant Minister at the Auld Kirk of Ayr. In 1962 he was inducted to Trinity Church, Rothesay, where he served for seven years before moving to Montrose Old Parish Church. There he remained until his appointment as Principal Clerk in 1985. It is perhaps not entirely coincidental that these parochial appointments were on the coast. Sailing was an abiding interest with summer holidays aboard the family boat, exploring the islands and sea lochs of Scotland’s west coast. Music too was a source of pleasure and recreation. He was a proficient recorder player, both as soloist and ensemble member and was particularly fond of the Savoy operas of Gilbert and Sullivan. Alongside his parish ministry James became involved in the central committees of the Church. With his legal background the General Administration Committee (subsequently the Board of Practice and Procedure) provided a ready outlet for his talents. There he served as Convener of the Legal Questions Committee, then as Convener of the Board itself. This included the role of Business Convener of the General Assembly, with responsibility for managing the Assembly timetable, advising on issues of process and ensuring all the business was efficiently dispatched. While this may sound rather dry, James invariably found ways of lightening proceedings with his fine sense of humour. One year his commissioner number from the Presbytery of Angus was 999 and, given that the business convener’s role can involve unravelling procedural tangles, James made the most of that coincidence. On another occasion a mischievous highland commissioner enquired as to why presbyteries with double-barrelled names tended to be joined by the word ‘and’ (for example Melrose and Peebles, Irvine and Kilmarnock) while Lochcarron-Skye had a hyphen. Quick as a flash James explained that the hyphen represented the Skye Bridge. In 1985 he succeeded Donald Macdonald in the full-time office of Principal Clerk to the General Assembly, a role which fitted him perfectly and which he held with great distinction until his retirement in 1996. In 1993 he was appointed Moderator of the General Assembly. If part of the Principal Clerk’s function is to steady the ship, it is not entirely unknown for Moderators to rock the boat. During his moderatorial year James preached a Christmas sermon in St Giles’ Cathedral in which he referred supportively to opinions expressed by the then Bishop of Durham on the Virgin Birth. These sought to expound the doctrine in a way which did not necessarily require a literal interpretation of the biblical account, and did not go down well with sections of the Kirk. Interestingly, a year earlier, he had contributed to a series of articles in the Independent newspaper on the secularisation of Christmas. In this he argued: ‘We deny our prophetic responsibility if we connive at a separation of sacred and secular. The secular is our sacred business, and the incarnation is the basis of the involvement of the Church in politics...Of course there is a terrible contrast between gluttony and malnutrition. But gloomy scrupulosity does not feed the hungry, nor does the singing of carols in holy corners. The thing for which we must hope and work and pray is that the Church will not hinder the exuberance of secular merriment, but rather so encourage and bless it that goodwill may overflow in compassion and practical aid to the needy.’ To the present writer, who had the privilege of working closely with him over many years, such sentiments well express the Weatherhead ecclesiology. In 1991 he was appointed a Chaplain to the Queen and in 1997 he was awarded the CBE for ecumenical work and public service. Following retirement, James produced a much-needed volume on church practice and procedure. Entitled The Constitution and Laws of the Church of Scotland (often referred to as ‘The Green Book’) this, effectively, replaced Cox’s classic Practice and Procedure in the Church of Scotland. Much has changed in terms of practice and procedure over the intervening years but it is testimony to the quality of ‘The Green Book’ that, as reported to the General Assembly on the very day Dr Weatherhead died, his work will form the basis of an updated manual of practice and procedure. James Weatherhead is survived by his wife of 55 years, Dr Anne Weatherhead, their sons David and Andrew, his three grandchildren, brother John and sister Janette. 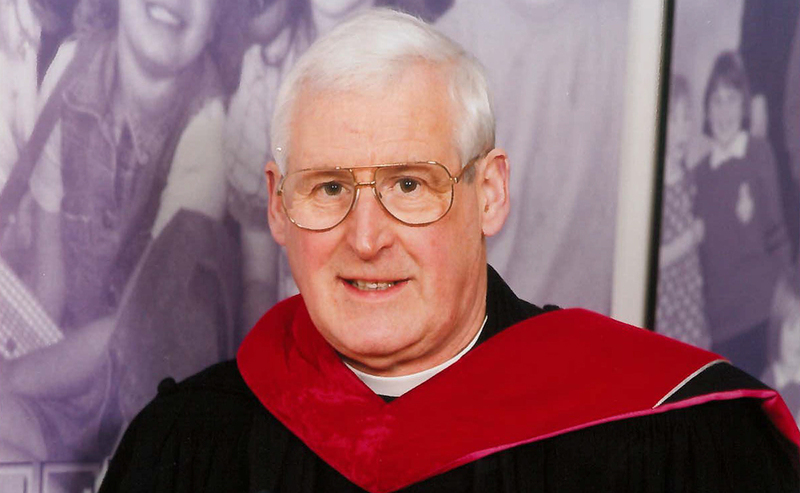 In giving thanks for a wise and faithful servant of Christ and his Church, we pray that his family may know the divine comfort in their loss. Article courtesy of Life and Work.